Deploying, managing and securing the end user’s desktop accounts for upwards of 25% of corporate IT’s overall budget. 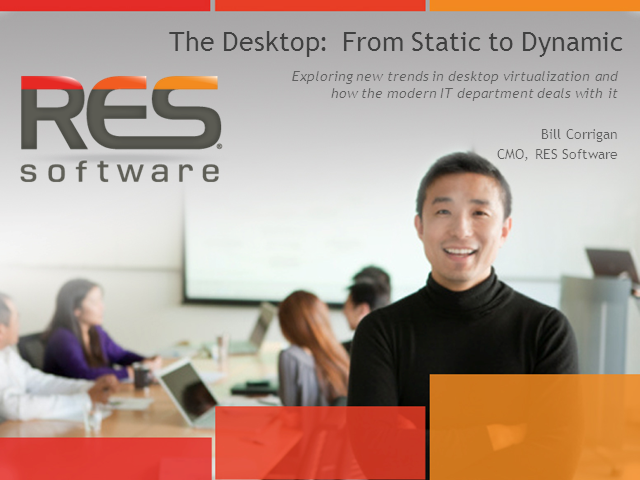 New technologies such as application virtualization, VDI, cloud-based applications, client hypervisors and the proliferation of a slew of new devices and user types have dramatically changed the challenges IT faces on the new “dynamic desktop”. We will explore how customers are conquering these emerging desktop challenges with a new set of management and security tools.